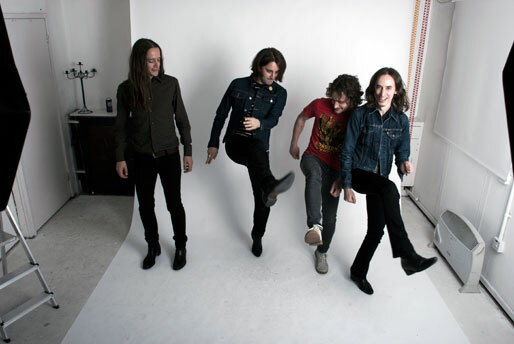 What can we expect to see from The Datsuns over the next year? We're releasing a new album, number 5, on October 5th, so expect touring, touring, touring! A couple of singles and videos too. I can't wait to be honest. Good times. Don't get into the music business to make money or you will be disappointed... if your goal is to play music you love and play it well, travel around and see some cool stuff, meet some great like-minded people, and generally have a good time, then go nuts! If you manage to pay the bills too, it's a bonus for sure. Some of the best things I've seen have been while on tour, so keep in mind money isn't the only rewarding thing in life. What will The Datsuns’ next release be? We're releasing our next album 'Death Rattle Boogie' on October 5th, with the first single 'Gold Halo' coming off that one. I'd love to support Dead Meadow, Black Mountain, The Reigning Sound, The Hives.... so many... Nick Cave and the Bad Seeds would be grand, just so I can watch them play. Big Day Out was a big one for me, just because ever since I went to my first one as a kid I've wanted to play it. The most outrageous one I've played was a festival on a boat traveling from Sweden to Finland and back again over 24 hours. It sailed into international waters so it became duty-free on all alcohol and cigarettes..... Man, they went insane. There was no escape from the music and drunken Scandinavians.... soooo much fun. 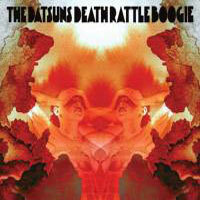 What rumour would you like to start about The Datsuns? That none of us were actually born in NZ, so we're not really even a NZ band at all.... Howdy Y'all, Gidday cobber, Hej Hej, and What Ho, kiwis! The Datsuns are Dolf de Borst (vocals, bass), Christian Livingstone (guitar), Philip Somervell (guitar) and Ben Cole (drums). 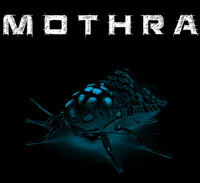 Mothra is an instrumental progressive experimental rock/metal band from Auckland NZ formed in 2008, made up of Hugh Allan, James Armstrong, Reuben Saffer and Shaun Leyden. 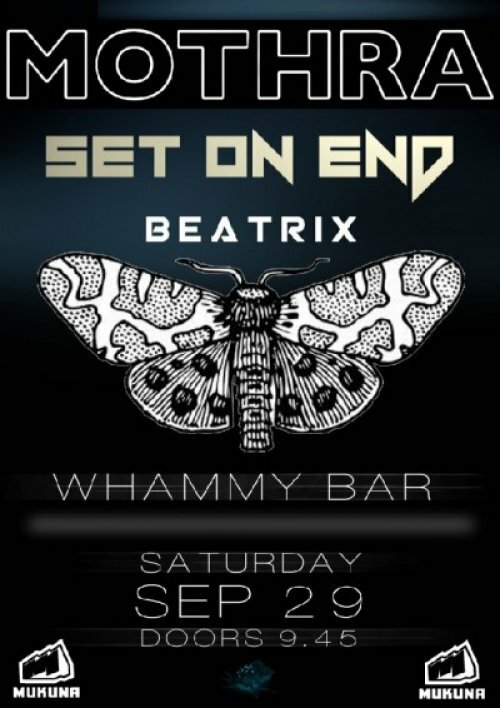 The band is focused on sound experimentation and often progressive musical ideas. By the same token cohesion, flow, and even pop sensibility are also important elements of the song writing process. Whatever the song beckons. Mothra were picked out of 54 bands as the Auckland finalist for the Win a Slot at Big Day Out 2010 comp by Groove Guide magazine. They also opened for the critically acclaimed ‘Devin Townsend Project’ in March 2010, and Chicago post rock act ‘Russian Circles’ in Sep 2011. Mothra have recently released a music video for 'The Beginning'. The clip was shot in 4 different countries by Shaun Leyden, and the track mixed by Aaron Harris from the legendary ISIS. 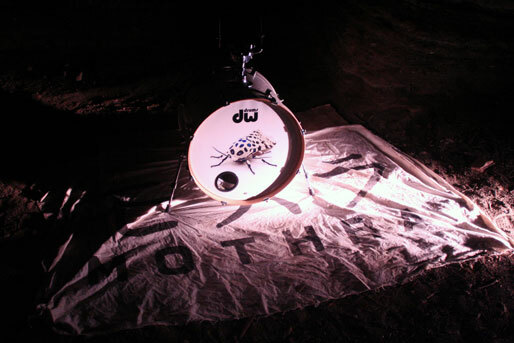 Mothra are currently working on a second music video and debut album. Mothra is Hugh Allan (guitar, samples), James Armstrong (drums), Reuben Saffer (bass) and Shaun Leyden (video). The Auckland Blues Club is an Auckland based incorporated society, and its aim is to build a strong platform as a link to not only those musicians already in blues bands and blues fans, but to the wider community as a whole. As a non-profit organisation, all of our efforts and funds are directed towards going some way to achieving what we set out to do. The Auckland Blues Club is the only blues club in the country which is an affiliate of The Blues Foundation (http://www.blues.org) in the United States. The aims and objectives of the club will be to enjoy blues music through regular organised club nights which will include gigs, jam nights, workshops and fundraising gigs & events and our mission will be to bring together blues enthusiasts and blues artists, and also encourage budding blues musicians. We will also aim to provide lots of blues-related information on blues gigs & events around Auckland, blues artists, music venues around New Zealand and blues CD reviews, thereby building a blues community to network blues enthusiasts and musicians together from across the country and also internationally. The Auckland Blues Club does what it can to help make blues events happen and be successful. If you are interested in helping us achieve these aims, you don't have to be a musician, or in a band, maybe you just want to learn about or listen to the blues and have fun, you should join the club. We have a monthly newsletter, we run our own functions, work-shops and clinics, and jam nights. Like any other non-profit organization, the Auckland Blues Club counts on the financial support of your membership and participation in the club provides great opportunities to meet new friends who share your love of the blues. For more details, please visit our website or our Facebook page. APRA Silver Scroll Awards 2012: Announcing the winners! In its 47th year of honouring New Zealand songwriters, tonight the APRA Silver Scroll Award has been presented at the Auckland Town Hall. The winner of the 2012 APRA Silver Scroll Award is: Stephanie Brown - “Everything To Me” - performed by Lips. “It’s a special honour to shine a light on such a beautiful song. 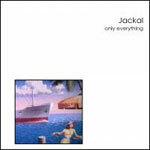 A languid but wonderfully considered love song that seems to have slipped under the radar so far. Stephanie is a hugely talented songwriter.” says Anthony Healey, Director of NZ Operations for APRA. Inducted in the New Zealand Music Hall of Fame are: Herbs - Dilworth Karaka, Toni Fonoti, Phil Toms, Spencer Fusimalohi, John Berkley, Fred Faleauto and Charles Tumahai (deceased), Maurice Watene, Tama Lundon, Jack Allen, Carl Perkins, Willie Hona, Thom Nepia, Tama Renata, Gordon Joll, Grant Pukeroa, Kristen Hapi. The Technical Award finalists for the 47th annual Vodafone New Zealand Music Awards have been announced by the Recording Industry Association of NZ. The 2012 finalist line-up includes a mix of previous winners and finalists as well as several Technical Award newcomers. Renowned engineer, mixer and producer Olly Harmer reprises his finalist berth in the MAINZ Best Engineer category. Olly took out the Tui for the category in 2011 for his work alongside Thom Powers and Aaron Short on The Naked and Famous’ debut album Passive Me Aggressive You. He is joined in the Best Engineer category by fellow 2011 Technical Award finalist Neil Baldock, as well as Steve Roberts and Steve Garden. Kody Nielson receives two nominations in the MAINZ Best Producer category for his work on Opossom’s Electric Hawaii and Bic Runga’s album Belle. Self-described ‘jack of all trades’ Nic Manders rounds out the category for his work on Lydia Cole’s album Me & Moon. Special Problems, double finalists in Best Music Video category at last year’s awards, pop up in the Best Album Cover category for 2012. Angela Keoghan, who was also a finalist in 2011, and Yvonne Todd complete the line-up. Six talented artists will go head to head in a bid to win the title of Songwriter of the Year. The University of Auckland contest, now in its fourth year, is a key event in the music calendar that will showcase the work of New Zealand’s up and coming singer-songwriters. The contenders for the title - Stevii Hill, Emily Rice, Sam Allen, Sam Springett, Doug Robertson and Callum Lee - are all students from the Popular Music Programme at the School of Music. They were chosen at the semi-finals in July from a field of twelve contestants. The winner will be selected by a panel of judges made up from industry representatives. This year’s judges are Brendan Smyth (NZOnAir), Stephen O’Hoy (Amplifier/The Audience/DRM), Dianne Swann (songwriter, The Bads), and Huia Hamon (Kog Studio). The finalists have all been developing their craft under the tutelage of leading music industry specialists including Godfrey De Grut, Kiri Eriwata, Neal Watson, Stephen Matthews, Jeremy Toy (Tate Music Prize winner) and LA Mitchell (Silver Scroll finalist 2012). Another Successful Going Global Music Summit 2012! IMNZ and NZ Music Commission are pleased to report the success of the 2012 Going Global Music Summit that was held in Wellington, Auckland and Christchurch. Over three days, delegates from the USA, Australia and the UK held music industry panel sessions in front of hundreds of attendees. In addition to the valued information shared with participants, a series of live music show-cases highlighted 25 New Zealand artists across a range of genres. IMNZ's chair Ben Howe says "This year's Going Global event has continued to build further connections to our colleagues working overseas and is developing into a strong and highly valued cornerstone on the New Zealand music industry calendar." Unknown Mortal Orchestra, New Zealand by-way-of Portland songwriter and guitarist Ruban Nielson marries psychedelia with sharp soul touchstones. Timeless pop hooks are produced with a soft buzzsaw edge so that the effect is akin to Stevie Wonder producing Plastic Ono Band into Nuggets-like gems. 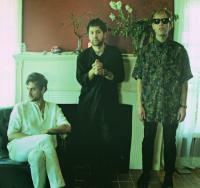 With bassist Jacob Portrait and drummer Greg Rogrove, Unknown Mortal Orchestra is preparing a full-length for Jagjaguwar in early 2013. To celebrate news of their signing and the launch of their tour with Grizzly Bear - the band have a number of upcoming North American tour dates, including an East Coast run with Grizzly Bear - the band has shared a first taste from the new album. The song, "Swim and Sleep (Like a Shark)," is a bittersweet romp with melodies more delicate than most approaching the genre would dare, check it out here: http://www.youtube.com/NSNHofCE4rg. Bernie Griffen And The Grifters are set to release "Everything So Far"
New Children’s CD from fleaBITE! Morrissey Announces Two New Zealand Concerts This December! and will be featuring Yebiisu! Feature space is available in our newsletters from 7 October! Muzic.net.nz newsletters are sent out to over 7930 members! The next muzic.net.nz gig mail out is going out on Sunday 30 September.